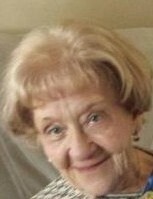 Delia Adele Beecher passed away on October 16, 2018. Family and friends are invited to call at the family owned and operated McCULLY-POLYNIAK FUNERAL HOME, P.A. 3204 Mountain Road (PASADENA) on Friday October 19, 2018 from 2-4 & 6-8 PM. Where a funeral service will be held on Saturday October 20, 2018 at 12:30 PM. Interment Meadowridge Memorial Park.